It's not too hard to equip the Apelco 501 marine VHF handheld radio with a discriminator output. 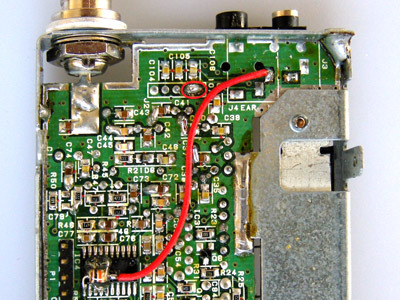 Because it's not a very recent radio, channels 87 and 88 have probably been programmed as duplex channels, which enables the reception of AIS signals. The handheld can be opened by unscrewing 5 screws in the back. Inside, two circuit boards can be found that need to be separated. First, the dials for volume and squelch need to be removed. Then, the rubber mat can be taken away. The two halves can be separated by removing 4 small screws. 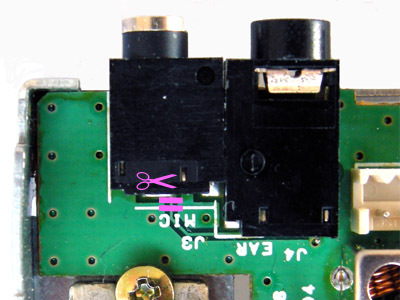 To ease the handling of the upper circuit board, the 5 pin connector on the top circuit board can be removed as well. 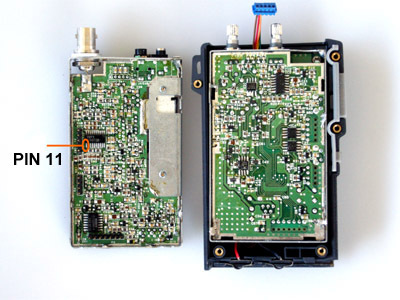 The radio contains an RCL10420 receiver IC, with the unfiltered audio on pin 11. The 2.5 mm mono microphone chassis socket is reused for the discriminator output, so no drilling is required for an additional socket. 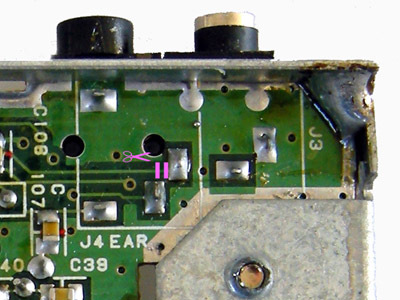 Two traces on both sides of the circuit board need to be cut to isolate the chassis socket. The two utmost right pins of the 5 pin connector are connected (see the marking on the overview picture). These were connected to the microphone socket. If you don't do this, the internal microphone is disabled. 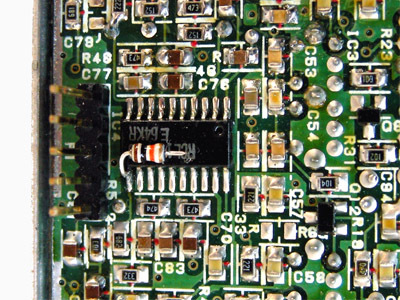 A miniature 10 k resistor is soldered to pin 11 of the receiver IC. The resistor can be fixed to the IC by a drop of hot glue. A piece of isolated wire is used to connect the resistor's other lead with the cleared chassis socket pad. The radio is now suited to decode AIS.